Smaller tanks can be offered Caster Mounted. Tanks offered Open Top (optional cover) or with dished and welded top head. Closed Top Tanks can be rated for pressure or vacuum. Various Mixing Systems are available. These include simple flange or clamp mounted stirrers; centerline single, double or triple motion scraper agitators; top or bottom entering homogenizers; scraper and disperser combinations; and custom designed systems. Tanks can be ordered with various control packages. Our UL certified shop will design the proper package for your project needs. 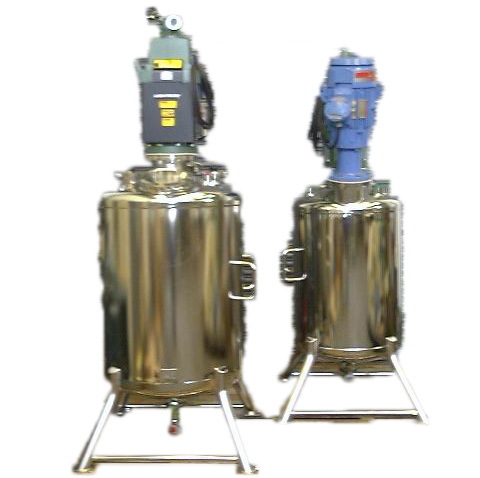 Our experts develop and quote tanks/mixing systems specific to client specification.